Undoubtedly, the 6s model of the Apple iPhone has entered the preference list of the Australians since it has been launched. It has a glossy finish with a slim edge. It comes with an all-new 6.9 mm rose gold outer shell. This priced collection is available in several colours- gold, space grey and silver. But what if, this priced phone faces some technical faults or physical damages? Need not to worry. Bring your phone to us. 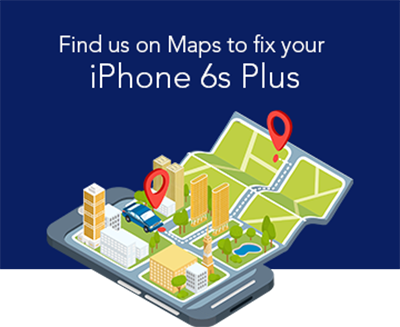 The technicians here at Mobile Expert are proficient in dealing with all sorts of repairs associated with iPhone 6s. We are the specialists in iPhone 6s screen repair and replacement. Bring to us your iPhone with a cracked screen; our experts will fix it for you on the spot and within no time. Our replacement job comes with a warranty. We make the screen replacement or repair easier than what you have ever thought. Do not panic if your iPhone 6s is accidentally exposed to the water. We are the experts who are proficient in dealing with the worst conditions of the water damage in the most efficient way. We make sure that your priced possession gets back to perfect conditions. The problem associated with the charging port is very common. We, the experienced professionals of Mobile Expert repair or replace the charging port of your phone with the genuine part to make sure that you do not face any problem related to charging. Get in touch with us to get a free quote of any of the problem associated with your iPhone 6s.